60 degrees and sunny with snow still on the ground? That's what January 20th looked like in Waxhaw, NC! 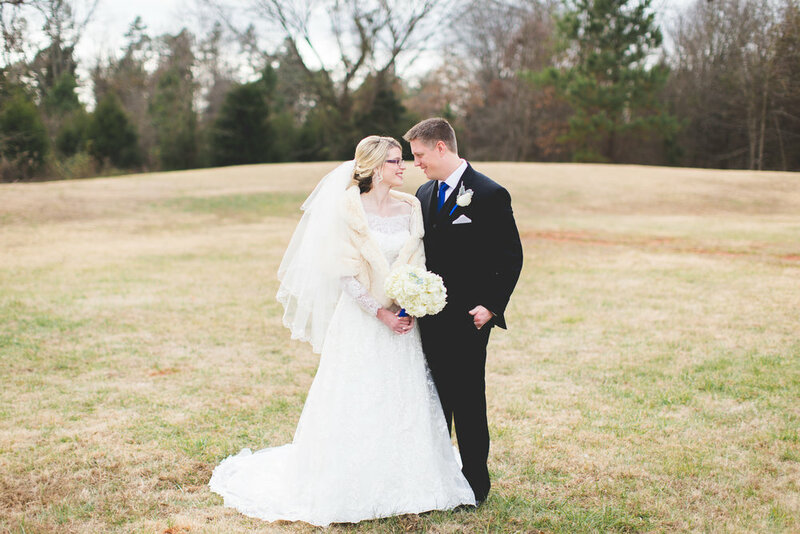 It was an absolutely perfect day for Andrew and Ashlyn's wedding! Navy blue and mint green were their wedding colors, with all the decorations and food done by friends and family - a true DIY wedding!